Judith has been working as a professional playwright for over 25 years. Her stage work has been produced in a number of venues including the Royal Court, National Theatre and Arcola Theatre. She has also written for Radio, TV and Film. Judith is a Royal Literary Fund (RLF) Writing Fellow at the University of Greenwich and an Arts Council Artistic Assessor. She is currently scriptwriter for Razed Roof Inclusive Theatre Company at Harlow Playhouse and is working on her first children’s novel. Judith is RLF Reading Round Group Lector in Harlow and is delighted to be continuing her work at Ideas Store Bow as Creative Writing Tutor. Carol Johnston has worked as a Sessional Tutor in Creative Writing for the London Borough of Tower Hamlets Idea Store Learning Service at the Idea Store Canary Wharf since September 2014. Recently she coordinated four short story writing workshops at the Idea Store Whitechapel as part of a Community Literature Festival 2015 jointly organised by the Shanghati Literary Society and Tower Hamlets Arts & Creative Industries. She believes that all local writers should have the opportunity to publish their work locally and develop their own literary style in creative writing. She has enjoyed teaching creative writing sessions during the last year and sharing her experience acquired when attending creative writing groups, workshops and performances in London Borough of Tower Hamlets 1994 – 1997 including Eastside Writers, the Basement Poets, and Approach Poets. Between 1997 and 2000 she piloted and contributed to the launch of a monthly multicultural newspaper. The Bethnal Green Scene, launching the newspaper working alongside Tower Hamlets Multicultural Consortium, and a group of local volunteers based at Oxford House community centre in Bethnal Green. She also has considerable experience of teaching English at all levels of ESOL and EAL, including teaching and mentoring adults, young learners, students and children in community centres, language and supplementary learning schools, and employment and training agencies. Her interests include journalism, poetry, creative writing, art & design, local history, folk, blues and classical music. She has a BA Hons in Historical Studies (University of Portsmouth), an Access to H.E. Diploma in Art & Design at Tower Hamlets College Poplar (2009 – 2010) and a Cambridge ESOL Level 5*Certificate in Teaching English to Speakers of Other Languages (CELTA) (QCF). Dolores has been working as a professional ceramics tutor and technician for over twenty years. From Spain originally, she became interested in Ceramics on arriving in London and attending her first Adult Education Class [formally ILEA]. The pottery class was at the [now closed] Smithy St. Centre, in Bethnal Green. She was astounded by the range and quality of classes available here as there was nothing comparable at that time in Spain. Dolores has continued her learning and graduated with an Honours Degree in Ceramics from City of London Polytechnic [Sir John Cass]. She has taught at the Bethnal Green Centre, Bow North, Bromley by Bow and Hackney City Farm as well as on the many community projects for young people delivered by the ‘A’ Team. She has delivered both accredited qualification courses in City and Guilds levels 1 and 2 as well as non accredited courses. Dolores has recently completed training as a child counsellor at Birkbeck University. Her approach to teaching is to inspire students by giving them a flavour of what is possible to achieve in claywork but mostly to engage them fully in the creative process and above all, to have fun! 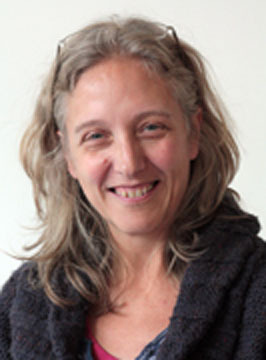 Hanelle Levine is Lead Tutor for the Visual Arts and has worked for the Idea Store Learning Service for over ten years. Hanelle has a wide range of experience teaching Drawing, Painting and Crafts here at Idea Store Learning and in a variety of other contexts including Primary and Secondary Schools, Madrasahs, and Youth Clubs as well as working in Further Education. Hanelle is confident and very experienced working with learners with Learning Difficulties and Disabilities and facilitating workshops in Residential Care Homes and a range of Mental Health contexts. She was awarded an Arts Council Scholarship to study at the Princes School of Traditional Arts where she explored how Universal Principles underpin the Sacred and Traditional Arts of different World cultures. Our course ‘Exploring Art From Different Cultures’ also looks into these themes. Hanelle has an eclectic background, having both trained and lectured in the Arts as well as Medical Sciences; Psychology; Psychotherapy; Homeopathy and Healing. She has worked in professional practice as a complementary therapist for many years before developing her artistic career. Hanelle believes we all have creative and artistic potential which can be developed and expressed to good effect and acknowledges the importance of maintaining a positive learning environment to support this. She also values highly the reciprocity of relationship between the teacher and learner to generate beneficial outcomes for both.